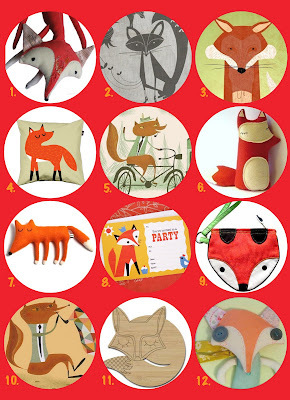 The Ink House: Fantastic Mr Fox! Hi all! I am loving foxes at the moment and I just wanted to share a few found favourites. It's amazing how many different shapes, sizes and products they come in! AHHHHHHHH! i love it this post. that Juke of NY matte Stephens is my favourite. Iv been begging my partner for that print.haha.